I described my wine related highlights of 2018 in the last article. Not surprisingly some of my favourite wines of the year are related to those highlights, orange wine and Australian wine. Let me start with orange wine, the focus of the excellent ‘Amber Revolution’ by Simon J Woolf. I could include Jeff Coutelou’s OW 2016 which we drank regularly through the vendanges. However, I have limited myself to just one of Jeff’s wines as part of this case. That is made from Muscat and my favourite orange wine which I drank in 2018 was made from Viognier, not often my favourite grape. It does reinforce a theory that some of the best orange wines are made from aromatic, characterful grapes which add to the sensation of texture created by skin contact. So, the first bottle into my case is by Australian producer Kalleske, Plenarius Viognier 2017. I described it in Brisbane where I came across it as having “aromas of, well, oranges. Lavender too. It was delicious with tangy zesty fruit and lovely texture”. 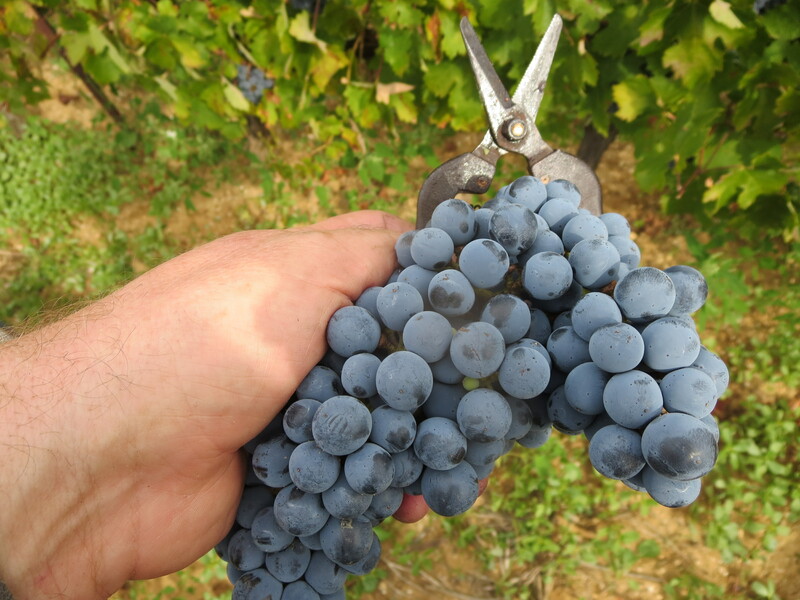 Seven days skin contact only for the biodynamically grown grapes, enough to add tannins without overpowering the fruit. Lovely. I drank Patrick Rols’ Les Anciens 2016 late in the year and it jumped straight into this case. I loved the iron filings like aroma and deep red fruit flavours of this wine made from Merlot and the Cabernets, Sauvignon and Franc. To make wine that good from some of my least favourite grapes, real talent and healthy grapes! My Coutelou wine comes next. There were so many highlights, including 1998 Cabernet and Syrah still brimming with life. However, everyone knows my favourite wine, the one I would choose above any other is La Vigne Haute 2010. The 2017 is a beauty and the 2018 promises to be special too. However, Jeff opened the 2010 one July day over lunch with our friend Steeve. 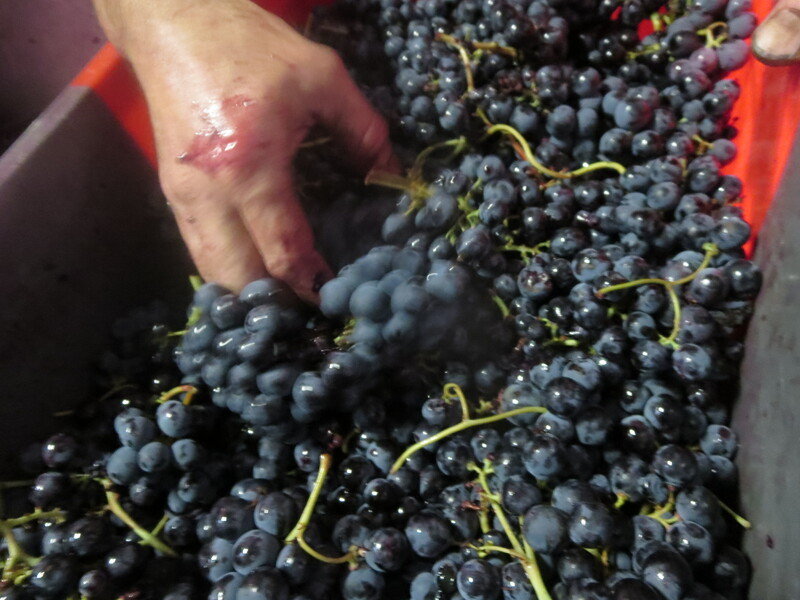 The years add a complexity and depth to the fruit and acidity to make a dream wine. Just stunning. My final red is Little Things, Joy’s Wild Fruits Field Blend 2017. This was one of the wines in made by James Madden in his first vintage, unbelievable that it could be so good so soon. I described it like this when I was there, “The vineyard is next to the sea at Fleurieu Peninsula and most of the grapes are technically white, eg Pinot Gris, Savagnin, Chardonnay, but they are picked with the Pinot Noir, Merlot and Cabernet from the same vineyard, pressed together and left on skins for more than a week. This is heady wine; bright, light and mighty good. Fresh and zesty from the whites, fruity and spicy from the reds.” I am going to choose this as my wine of the year, the single wine I enjoyed most of all. Another field blend, another Basket Range wine. Basket Range Vineyard Blend 2016 is made by the Broderick brothers Sholto and Louis. Made from Petit Verdot, Merlot and the Georgian grape Saperavi, fermented and made together. Bright fruits, spice and appealing tannins this was a wine of pleasure but with added complexity too. White wines provided most of my 2018 highlights, here are the final picks. Little Things again, no apologies. I am sure some will accuse me of bias but these are genuine picks based on quality. Little Things Sweet Child Of Mine 2017 which I described as “Chardonnay is from 28 year old vines, whole bunch pressed, tank fermented and then aged in old barrels. It is a delight. There is a creamy note but a clean acidity runs through with lemon and spice notes.” Basket Range Chardonnay was a true highlight of my trip Down Under, other fine examples came from James Erskine of Jauma and Alex Schulkin of The Other Right. Interestingly their wines were from the same vineyard as another of my picks. Gentle Folk Scary White 2017. Named after the vineyard Scary Gulley this blends the Chardonnay with Riesling and Sauvignon Blanc with lovely acidity, a creamy fruit profile and a sense of the area – friendly and classy. Gareth Belton is a very talented producer, excellent Pinot Noir too. One of a very talented bunch of winemakers in Basket Range. Yet another Australian Chardonnay makes the list. Luke Lambert Chardonnay 2016 is made in the Yarra Valley near Melbourne where I drank it. There is a lovely apple and pear fruit, a touch of citrus and great length. Not Burgundy but similar in profile yet clearly Australian in its ripeness. All class. Talking of Burgundy. Domaine Valette Macon Chaintré Vieilles Vignes 2016. I drank this from magnum at lunch during vendanges and again in single bottle from the excellent Chai Christine Cannac in Bédarieux. It may not be the most celebrated Burgundy but this relatively humble area produces a pure, creamy but citrus, hazelnut and white fruit flavoured delight. A producer I hope to find out more about. Four Chardonnays and a Merlot/Cabernet blend so far. What is the world coming to? Well, let’s add some exoticism. Bacchus, Ortega, Huxulrebbe and Segerebbe to be exact. From England. French readers think I have gone mad! Davenport Limney Horsmonden 2016 is the work of a very talented producer in East Sussex whose PetNat is another favourite. This wine has a distinct floral note to the aroma profile, fresh and fruity. English wines are really on the move. No sparkling wines to add this year, I had some nice ones but nothing which made me go wow. Only eleven wines though. Well to make the case I am adding another bottle of the Little Things Field Blend as my favourite of the year. Or maybe the 2010 La Vigne Haute. Please would someone bring in some of the Australian wines to the UK market. I am missing them already. Categories: Tasting, Wines | Tags: Basket Range, Chardonnay, Coutelou, Davenport, Field Blend, Gentle Folk, Hans Herzog, Kalleske, La Vigne Haute, Little Things, Luke Lambert, Rols, Valette | Permalink. It was always going to be the trip of a lifetime but, my word, it lived up to that billing. There are so many positives to Australia and New Zealand. I couldn’t help thinking that these young nations are energetic, vibrant and forward thinking in comparison to so much of Europe. Links with Pacific and Asian countries are to the fore and that will be their future though they retain a tremendous affection for their European links. The many people who were more than keen to talk with us were rightly proud of their countries, eager to find out about our trip and delighted to hear our enthusiasm. Positivity abounds. The people themselves were such a highlight, as I have said before, they are helpful, polite and know how to enjoy themselves. The climate is obviously helpful in encouraging outdoor lifestyles, admittedly we were very lucky with the weather on our trip. The wildlife was a constant joy, seeing kangaroos, koalas and kiwis in real life was just marvellous. Birds, fish and shark were stunning. Please look after them. Above all though it was the joy of their natural landscapes which will live longest in the memory. These are jaw droppingly beautiful countries with such variety from coastlines, mountains, equatorial forest to the wonders of the Barrier Reef. Add on man made wonders such as Sydney Harbour’s Bridge and Opera House, I find myself smiling just thinking about them all. Regarding wine. To be honest overall I was a trifle disappointed with so many wines and wine lists. The safe, conventional and commercial are everywhere. Perfectly drinkable wines but lacking excitement. However, dig a little and quality emerges. From Kalleske in the Barossa to Hans Herzog in Marlborough and Domaine Road in Otago I found conventional wines that were very good to drink. The highlights though were from the emergence of a natural wine scene in both countries. Kindeli, Cambridge Road and The Hermitage Ram in New Zealand were certainly highlights. Shobbrook, Sullivan, Tausend are names to look up in Australia. In a way though I was spoiled early on. The Adelaide Hills was the source of so many of my favourite wines of the trip. There is a lively community of producers, supporting each other, who are making exciting, vibrant clean wines. Gentle Folk, Jauma, Manon, Basket Range, The Other Right are just some of the names to seek out. Add to that list the excellent bottles of my friend James Madden of Little Things wines. I am biased but his wines were amongst the best I tasted during this trip. The brilliant Chardonnay, refreshing PetNat, complex Field Blend were all in my top wines. Australia and New Zealand have young winemakers looking to break with traditional methods. Behind the wave of producers in Europe perhaps but starting to create an impression and proving to my mind that there will be some wonderful wines to savour in coming years. It is no coincidence that most of these producers have worked in Europe, for example James at Jeff Coutelou’s. They will use that learning, adapt it to their local conditions to make their interpretation of Australian and New Zealand wines. I buy into their vision wholeheartedly. Thanks to everyone we met for making the trip so special. Above all thanks to James, Sam, Flo and Pat for sharing their home with us and being so generous. And to Howard, a great chef, host and friend. Categories: Tasting, Vignerons, Vines, Wines | Tags: Adelaide Hills, Basket Range, Cambridge Road, Domaine Road, Gentle Folk, Hans Herzog, Hermitage Ram, Jauma, Kalleske, Kindeli, Little Things, Manon wines, Patrick Sullivan, Shobbrook, Travis Tausend | Permalink. The most famous wine region of New Zealand, Marlborough, is found in the north East corner of South Island. No less than 77% of the country’s wine originates from Marlborough, around the towns of Blenheim and Renwick in particular. Factor in the fact that 85% of Marlborough’s grapes are Sauvignon Blanc and we begin to see the importance of this variety to the reputation of wines from the region and, indeed, the rest of the country. Certainly, the region is very different to Nelson, the focus of my last blog. There the vineyards are part of a much bigger agricultural scene, fruit orchards, hops, cattle and sheep mix with vineyards in the Nelson area to create a true pastoral landscape, e.g. in the Moutere Valley. Journeying into Marlborough across the hills from Nelson the vines do not appear until shortly before reaching Renwick. But then vines stand, row after row, mile after mile. Wineries which put the country on the world wine scene stand side by side, Wither Hills with its many vineyards, Hunter’s, Villa Maria are all producers which played a major role in my personal learning about wine and, especially, wines from New Zealand. The winery which first drew attention to and recognition of the potential of Marlborough Sauvignon Blanc was Cloudy Bay. Named after the beautiful bay to the East of the vineyards. This winery now produces a number of different wines but it was the Sauvignon which really made its name and established New Zealand as a quality producer. Cloudy Bay Sauvignon Blanc is also the long time favourite of my wife so a visit was obligatory. A very professional tasting room and comfortable garden allowed us to taste the celebrated Sauvignon 2017 which was classic Cloudy Bay but also the oaked version Te Koko 2014 which wears its wood ageing well. In addition we were able to taste a rare old version of the Sauvignon, from 2005. There was still plenty of acidity, the wine had become a little flabbier but had a dry finish. Not many bottles of 12 year old Cloudy Bay still exist I’d imagine, it was interesting to see that they do age quite well though I would drink any bottles younger. Pelorus NV sparkling wine and the Pelorus vintage 2010 (only available at the cellar) were both pleasant enough, the latter definitely had more weight and flavour. Chardonnay 15 was wild fermented in barrel (82% of it at least) and the oak was subtly done, a good example of the grape. On to reds and the Pinot Noir 15 was very good, one of the best Pinots of the trip so far, fresh, fruity, juicy with good length. 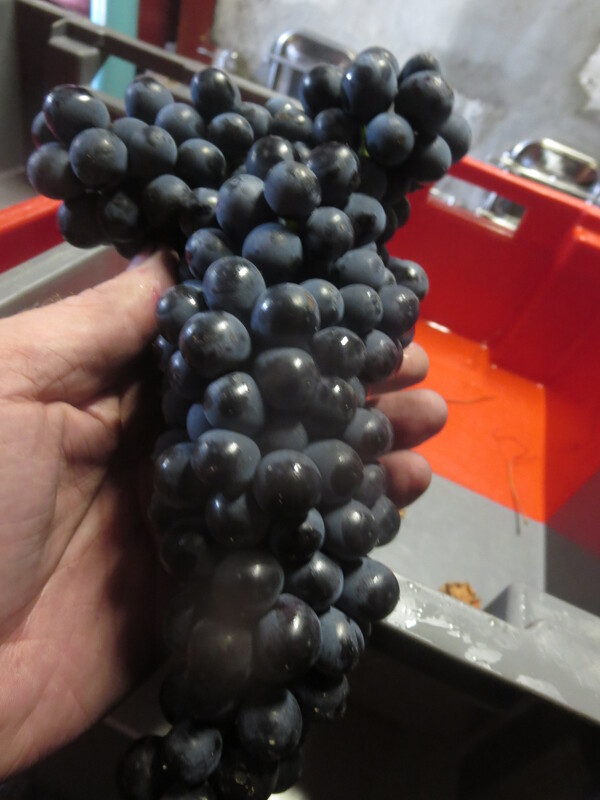 The Pinot Noir 2010 had already gone the way of so many older NZ Pinots, all forest floor and mushroom. It obviously appeals to Kiwis but not to this Rosbif. Neither did the Central Otago sourced Pinot Te Wahi 15, there was some rose scented fruit but this was very oaky and tannic, again not my style. There was also a very good Late Harvest Riesling, good Riesling notes, acidity balancing the sweetness. Interestingly, Cloudy Bay has made the decision to reduce the varieties it uses. 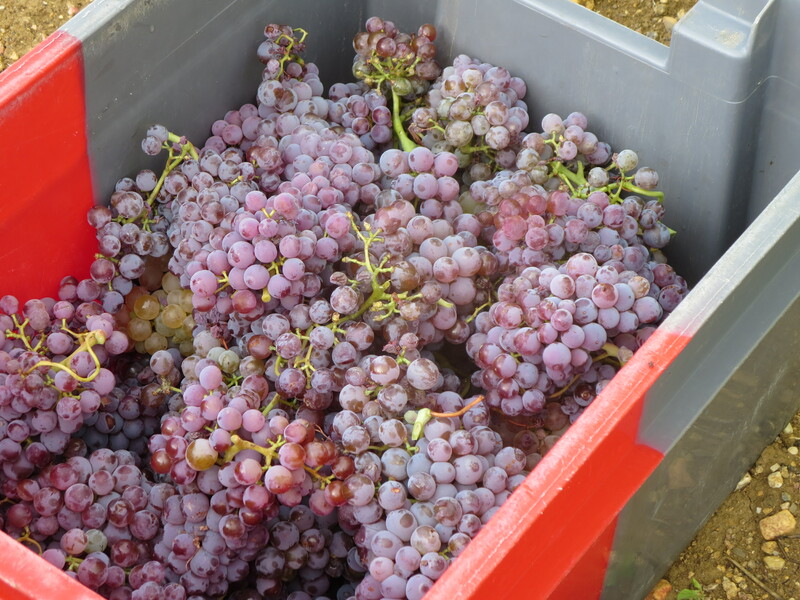 Riesling and Pinot Gris are out, they will concentrate on Sauvignon Blanc, Chardonnay and Pinot Noir alone. Cloudy Bay owns 50% of the vineyards it uses to make its wines and works with growers for the other 50%. This is common in the region, growers provide the grapes, the winery gives instructions on how they want the vines to be tended. 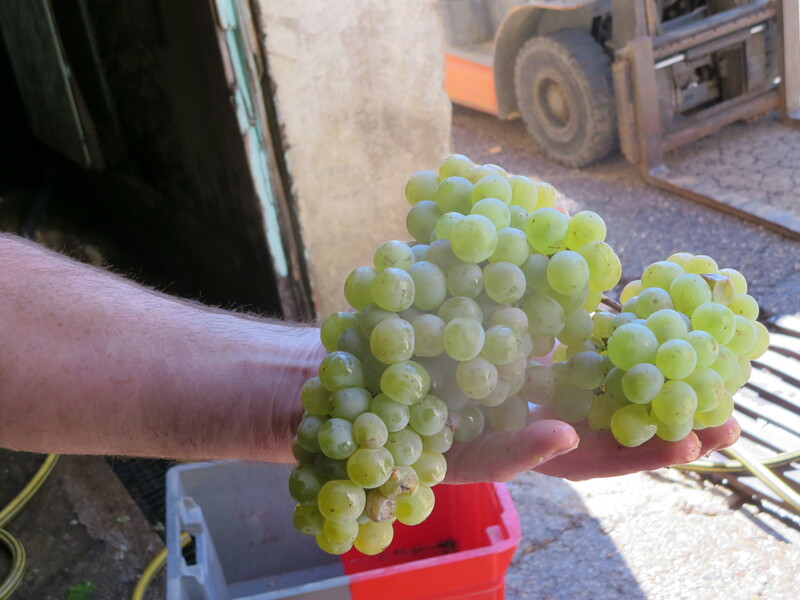 There are wineries which grow all their own grapes and I visited two, both organic producers. I had tasted Fromm wines before, notably a very nice Sauvignon Blanc La Strada 2016. On this visit we mainly concentrated on reds. Pinot Noir La Strada 16 was a little unforgiving to my taste, not much fruit showing. For once the older wine was more to my taste, the La Strada 10 being more open and balanced, red fruits and just a little earthiness. On to two single vineyard Pinot Noirs. Churton 16, more weight and concentration than the entry level, still very young and tight. Quarters 16 was different, more spicy and fruity, grown on more clay soils than the Churton. On to Syrah and I liked the La Strada 16 with its peppery, spicy notes and more friendly flavours. The Fromm Syrah 16 was more concentrated with rich pepper notes, quite tannic still, I am sure this will be very good. I must add that Syrah has been my favourite grape amongst red wines in New Zealand. Two white wines to finish, the highlight of the tasting for me was the Riesling Spätlese 17, well named being very much in the style of a Mosel spätlese, lovely apple fruit with zingy acidity and a lick of sweetness too. Finally, a Late Harvest Gewurztraminer 15 had classic aromas of the grape, spicy and floral but the wine had very fresh acidity cutting through the sweetness. Apparently this variety suffered in 2018 but I liked this wine, very well made. My favourite visit of the day though was undoubtedly to Hans Herzog. The domaine is next to the Wairau river on one vineyard which the Herzogs have planted with lots of different grape varieties. 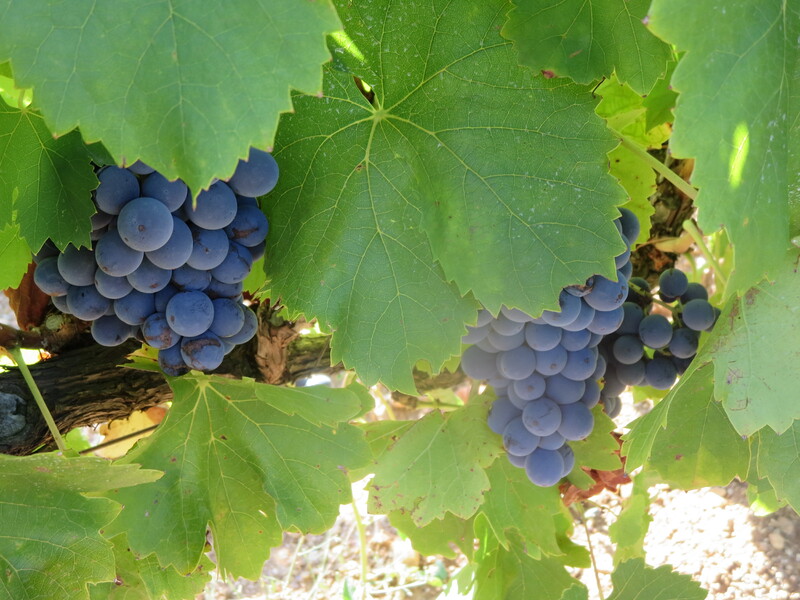 They have planned this carefully so that sunnier aspects get grapes such as Montepulciano and Tempranillo whilst cooler areas are planted with white grapes and Pinot Noir. The plan makes for fascinating reading. This is a biodynamic domaine and only a small amount of SO2 is added at bottling, these would qualify as natural wines for many people though I was surprised that harvesting is mostly by machine. There is a beautiful restaurant in the gardens next to the vines, with a splendid trellis supporting lots of different grape varieties and notes to explain each one. A treat for those, like me, who love to study ampelography. The food was very good too. The Herzogs are Swiss and Hans comes from a family of winemakers of long standing. It was a young Swiss woman, Petra, who gave us a very generous tasting. Wild Gewurztraminer 2017 is named after its open fermentation and longer period on skins. It had vibrant aromas in the glass, spicy and dry flavours, a real treat and a sign of good things to come. Pinot Gris 16, 5 days on skins, was apple and pear notes, lovely and fresh. 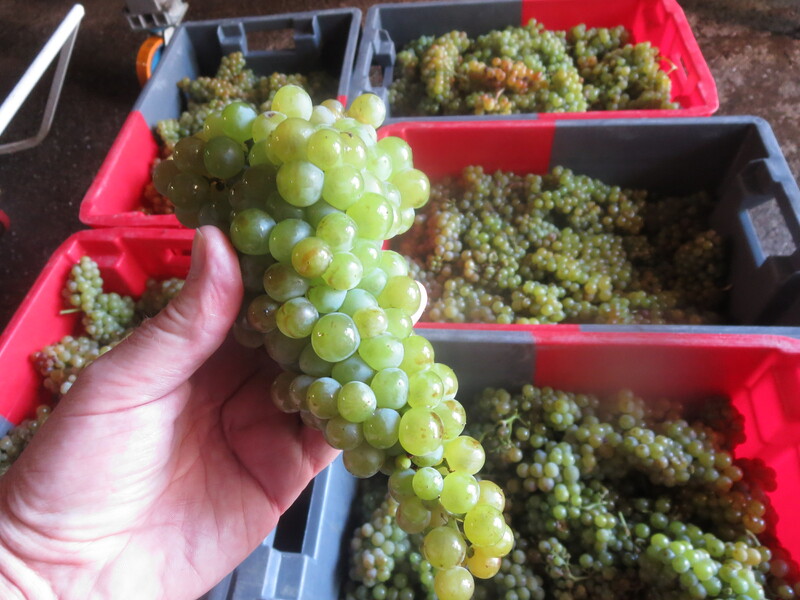 The Sauvignon Blanc 15 was made on lees which are stirred and there was a yeasty aroma to the wine which was very dry and quite textural, one of those rare wines which actually tasted of …. grapes. Very good. A sparkling rosé wine to follow, Cuvée Therese made from Chardonnay and Pinot Noir with red fruit notes and a dry finish. Finally Gruner Veltliner 14, yellow in colour, pear and quince aromas and lovely texture and clean finish, lovely. On to the reds. 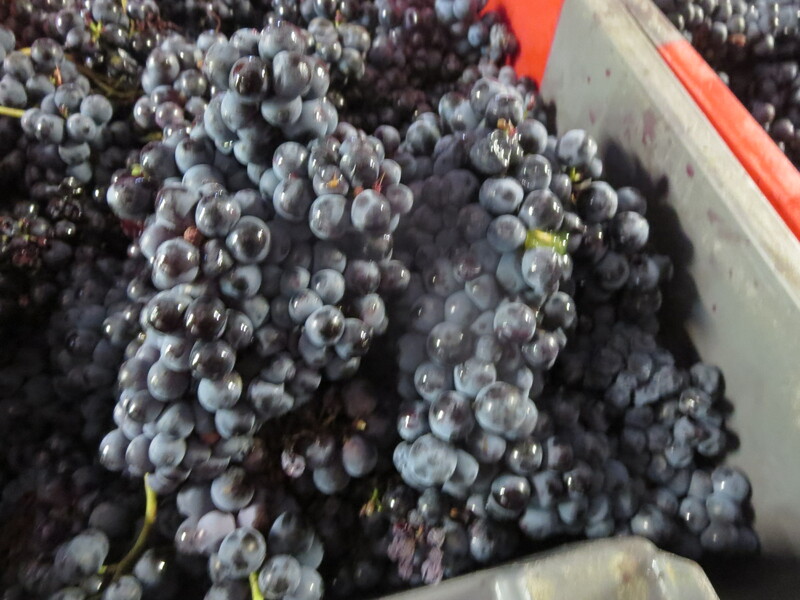 Pinot Noir 2011 was macerated 18 days on skins, aged for two years in bottle. My favourite Pinot Noir of New Zealand so far, fresh, vibrant spicy red fruit with a balancing acidity and complexity and gentle tannins. This is how Pinot Noir should be in my opinion. Tempranillo 14 was a lovely surprise. This is not a grape I usually like that much but this example was just lovely. The light red fruity notes of a young Rioja but without any oaky notes even though it was aged in barrels for 22 months. Energetic, lively, smashable. Spirit of Marlborough 09 is a Bordeaux style wine made from Merlot and Cabernet Sauvignon, aged 26 months in barrel and then more years in bottle. Again this would not be my favourite style of wine but somehow this works. Finally, and definitely worth waiting for, was the Nebbiolo 2013. Petra told us that this was the wine which is opened as a treat at the end of harvest, only one barrel was made. It is a stunning wine, easily my favourite in this New Zealand trip. Aromas of rose and fresh tropical fruits (yes in a red wine) and then, amazingly, hints of peach and apricot as well as red fruits. Light in the mouth yet with concentrated, long flavours. I loved this wine and was very impressed by the range, there is a real energy and vivacity in them. So different to a lot of the more commercial wines produced in the area and, hopefully, a sign that quality will win through. Ampelography lesson over lunch, perfect! Categories: Tasting, Vignerons, Vines, Wines | Tags: Chardonnay, Cloudy Bay, Fromm, Gewurztraminer, Gruner Veltliner, Hans Herzog, Late Harvest Riesling, Marlborough, Nebbiolo, New Zealand, Pinot Gris, Pinot Noir, Sauvignon Blanc, Syrah, Tempranillo | Permalink.